Wilson Lukenge was born in 1944 at Makerere near Kampala, Uganda. He is married with children and educated in Uganda. 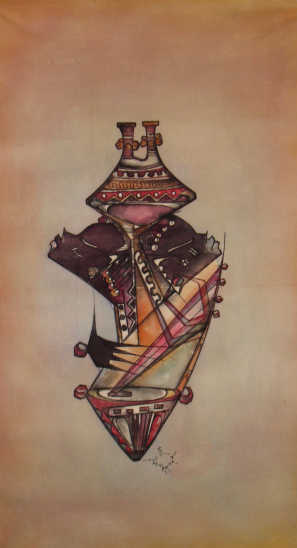 Wilson joined the Margaret Travel School of Fine Art, Makerere in 1964 where he graduated with a degree in Fine Art. He majored in painting and sculpture. After graduation he taught art in High School and College. 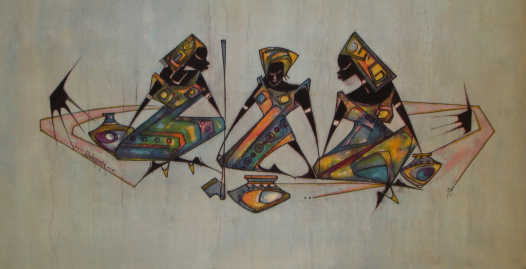 Lukenge is one of Uganda's pioneers of contemporary Ugandan Art which departed from the traditional western art. 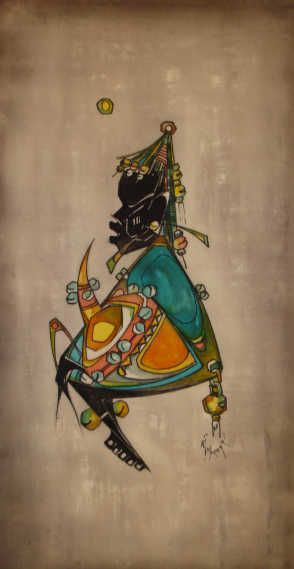 He is also credited with having created his unique style in batik painting which influenced many upcoming artist during the seventies and eighties. In the seventies Lukenge moved to Kenya during the Amin terror. His works hang in Makerere Art Gallery, Uganda Commercial Bank and Uganda House, New York. He presently works in his home in the Luwero District. He is closely associated with Nnyanzi Art Studio where his works are promoted internationally.